Welcome to the another edition of EVERLASTING! Over the Christmas and the New Year season, our Church embarked upon humanitarian activities and kind gesture around the City of Leeds. This is to evidently demonstrate the love and care of God to Mankind as part of our Mission. Food items and financial donations were made to Care Homes; Church Outreach Centres; Council Outreaches and other charitable organisations in the city. In this edition we have pictures of these visits and donations. 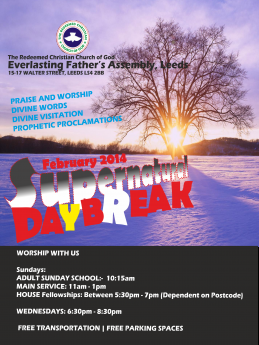 We also have inspiring words from the altar Commitment: Your Access To A New Dawn, by Rev Alex Faranpojo. Join Us Tomorrow for our Main Service. Time 11am - 1pm. Ministering:- Pastor Samuel Obafaiye. Adult Sunday School 10:15am. On Christmas Eve, Pastor Sam and his son - Louis visited Summerfield Court on behalf of the Church. The Home cares for people with Physical disabilities; Sensory impairments; Substance misuse; Mental Health issues; etc. 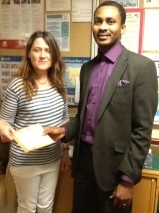 A donation of £200.00 was given. A surprise visit was also made to Burley Willows on Burley Road by the Team (a Care Home for the Elderlies owned by Leeds City Council). 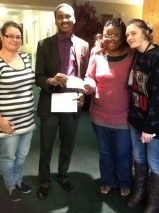 They were given a donation of £200.00. 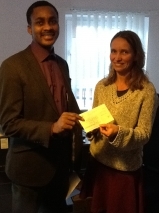 As part of the call for urgent appeal to assist the victims of Typhoon Haiyan in Philippine, our Church gave a donation of £200.00 through The Samaritan's Purse UK, organised by our Central Office. Early January, the Pastor visited The Youth Point on Cardigan Road (a community organisation that provides educational and sporting activity for children in the local area). They were given £200.00 as donation. The Women of Honour (Women Fellowship of the Church), visited St. George's Crypt (a care centre for homeless people in the community) and gave them food items and £50.00 as donation. The Team also visited Leeds City Mission (LCM), a Christian body working with Churches in Leeds to advance the gospel of Christ. They were given a donation of £200. Representatives of the Women of Honour (Mrs Adunmade & Mrs Daniel), also visited St. Vincent Centre (an outlet of providing help, hope, and support to people facing difficult times). They were equally given food items and £50.00 as donation. The Women of Honour also extended their hands of love to The Independent Living Support Team of Leeds City Council (an arm of the Local Authority that looks after the Elderlies or Physically challenged who lived on their own) with food items for the residents.